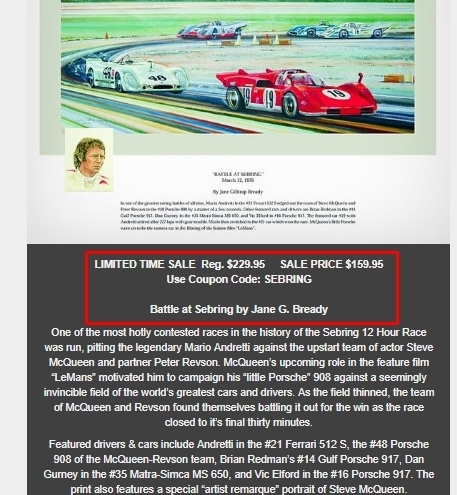 Allen Miller Save $70 Off Battle at Sebring Print by Jane G. Bready at Freck's Auto Art. Tested this promo code and verified that it works as described. Use promotional code SEBRING. Reg. $229.95, Sale price $159.95 with code.